A humanoid robot name Pepper designed as an upbeat companion made its European debut on Tuesday helping shoppers with wine, and more, in a major shop in France. The test run involves seven robots stationed in different parts of a Claye-Souilly region Carrefour store, where they are programmed to do things such as suggest food recipes or wine choices, or assess customer satisfaction, Magali Cubier of Aldebaran Robotics told AFP. "The main focus is to entertain people and to test how they react to seeing a robot in a shop," Cubier said, standing opposite a pair of Pepper robots giving hugs and high-fives to attendees at a WSJDLive technology conference on the Southern California coast. "It is the first time we are getting Pepper out of Japan, so we will see the reaction of users in France." Aldebaran has sold 4,000 Pepper robots since they launched in Japan in June. The Paris-based company is about 98 percent owned by SoftBank Group in Japan. Aldebaran sells one batch of 1,000 Pepper robots monthly, with an up-front price of $1,500 euros and then monthly subscription payments of about $200 euros for three years, according to Cubier. 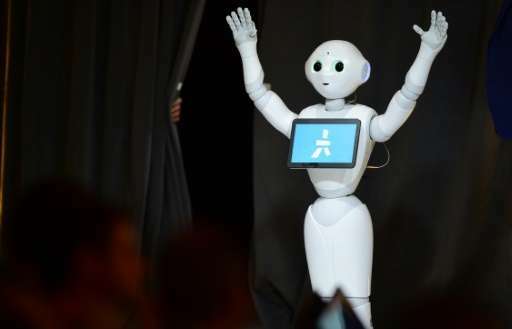 Pepper was billed as a "new species" of robot capable of recognizing basic emotions such as happiness and sadness by looking at people's faces. "Faces mean a lot to me; even more when they are smiling," a Pepper model said while describing its facial recognition capabilities during a demonstration. "It is pretty clever because it keeps me from trying to interact with non-human things,. For example, those couches never talk back." Aldebaran in September began gathering research that showed people tended either use the robots as day-to-day home companions or took creative approaches of building in their own software applications for small business purposes. Pepper was at WSJDLive as part of a quest for partners in the hope of expanding to the US market, according to Cubier. "We see robots being more and more present in our daily life to help us; assist us; entertain us, live with us," she said. 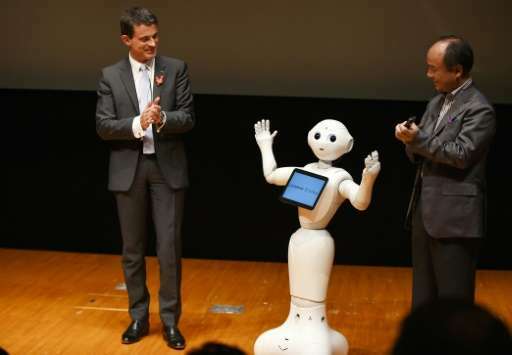 Pepper's effort to spread to France and beyond comes with the challenge of adapting robots to different ways emotions are expressed in the world's diverse array of cultures and places. 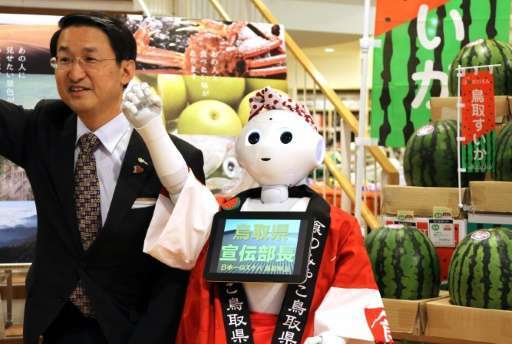 For example, Pepper will shake hands with shoppers in France—but not greet them with robotic pecks on cheeks, something Cubier promised to look into. With a name that is based on an 'eye for an eye', I would be careful what violence you design for another.